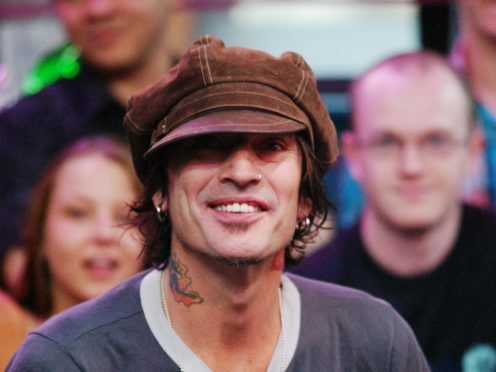 Motley Crue drummer Tommy Lee has married his Vine star partner Brittany Furlan on Valentine’s Day. Lee, 56, and Furlan, 32, got engaged a year ago. She also posted a picture of two dogs, one wearing a mock wedding dress and the other a mock tuxedo. This is Lee’s fourth wedding and his ex-wives include the actress Pamela Anderson, who he was married to between 1995 and 1998. The couple share two sons – Brandon, 22, and 21-year-old Dylan. Lee found fame as the drummer of rock group Motley Crue. The band, which has sold more than 100 million albums worldwide, also consists of bassist Nikki Sixx, lead singer Vince Neil and lead guitarist Mick Mars.